Proximity advisory systems have potential to reduce collision risks associated with surface mining haul-trucks by assisting truck drivers to maintain situation awareness. The design of the visual interface by which information is provided is likely to influence the effectiveness of such systems. During ACARP project C24028, a range of information sources were reviewed including best practice guidelines from other industries. The consequences of different visual interfaces were examined when drivers were presented with potential collision scenarios via a modified haul-truck simulator (Figure 1). Additional information available in a Schematic proximity advisory visual interface was utilised by drivers to reduce collision risk and braking force and decrease travel time; although the effects were smaller in a subsequent experiment involving a smaller number of experienced truck drivers. 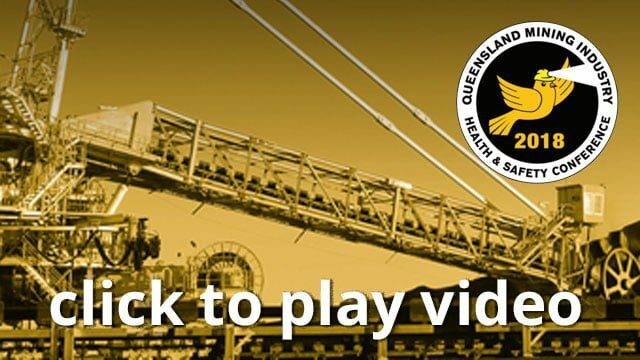 Design guidelines have been developed for haul-truck proximity advisory systems. Further work is underway in project C27005 in which a similar experimental paradigm is utilized to examine two of the issues identified as requiring further investigation: the relative benefits of proximity information based on distance only vs collision prediction information; and secondly, the relative benefits of auditory tones vs speech.